The young artist, Ella Popa presents nature transformation using reuse, recycle, remodeling, and redesign concepts to accentuate its beauty. 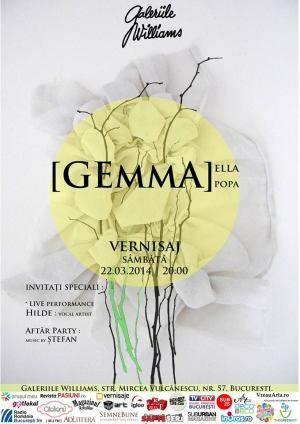 "GEMMA by Ella Popa" Art Show in Bucharest. You can get here description, reviews, address, time and details of "GEMMA by Ella Popa" Art Show in Bucharest. Visit Bucharest Tips for more Art Show events in Bucharest!